Michelle Berryman is a graduate of the Georgia Institute of Technology holding a Bachelor of Science Industrial Design degree and a Master of Science focused on interaction design. Her diverse and award winning design portfolio includes exhibits, events, interiors, consumer products, user interfaces for consumer, medical and industrial products as well as an extensive background in corporate identity. She has worked with clients like HP, Raymond Corporation, MAKO Surgical Corporation, Cooper Lighting, Philips, Sunbeam, Hamilton-Beach, McKesson, Medtronic, Nike, OPW and Siemens. She is a founding Principal in the firm, Echo Visualization, LLC (EchoViz) in Atlanta, Georgia. Michelle has been very active with the Industrial Designers Society of America (IDSA) since 1993. She currently serves on the Board of Directors of IDSA where she holds the position of Chairman Emeritus of the national organization. Additionally, Michelle has recently been elected to the Board of Directors for the International Council of Societies of Industrial Design (Icsid). Michelle also maintains memberships with SIGCHI, UPA (Usability Professionals Association) and the Georgia Tech Business Network (GTBN). She is in her second term on the GTBN Board of Directors. During her senior year in high school, Michelle's mom was diagnosed with an aggressive terminal illness. Her health declined rapidly and as it did, Michelle watched her mom's physical abilities diminish. It became difficult for her to do even simple daily tasks. When assistive products started appearing in their home, they allowed her to maintain her independence and quality of life. It was then that Michelle learned about industrial design and it really struck a chord with her. While she no longer design physical products, she has always focused on user experience—with a product, with a website, a piece of software, and an environment. It is Michelle's goal to always design meaningful experiences that resonate with users and elicit desire and delight. Following this experience, in the fall of 2000, Michelle enrolled at the Georgia Institute of Technology to pursue a Master’s Degree. Her desire to merge environment design with interactive media and to begin exploring issues in ubiquitous computing drove this decision. As a graduate student, she explored areas of hands-free proximity photography and assistive product interface design. Michelle’s thesis, The Design of a Heart Rate Monitor and Lifestyle Management Tool for Phase III Cardiac Patients, embodies many of these interests in an assistive product and website. During the 2000-2001 academic year, Michelle was a Graduate Teaching Assistant in Industrial Design. She received the “Teacher of the Year” award from the industrial design students and the “Graduate Teaching Assistant” award from the industrial design faculty. 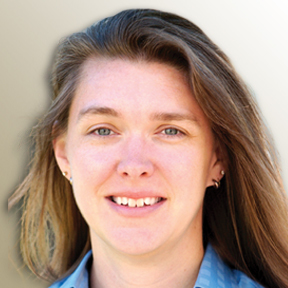 In 2001, Michelle began working with the Georgia Tech Research Institute (GTRI) in the Human Factors Branch of the Electronic Systems Division. While at GTRI, her work was concentrated on product interface design and she was instrumental in developing an interactive media-based system for rapid prototyping interfaces to control and interact in real time with a legacy product or with a simulated computer data model of a product. She worked collaboratively with a multi-discipline team of engineering psychologists, computer programmers and another industrial designer. Her work at GTRI also involved designing assistive interfaces for existing product lines seeking to become compliant with the U.S. government’s new law amending Section 508 of the Rehabilitation Act. Upon graduation from Georgia Tech with her master’s in 2002, Michelle and her business partner, Brian Lynn, founded Echo Visualization, LLC (EchoViz). EchoViz is a boutique interaction design & user experience consultancy with a strong background in industrial design, user-centered design, research, and brand management. EchoViz provides a wide spectrum of services including business analysis, digital strategy, user research, information architecture, interactive media, graphic design, data visualization, early stage concepting, interactive prototyping, animation, software development, implementation and QA testing. Throughout their work, they use established design strategies and advanced visualization techniques to engage customers and build brands. We are big thinkers and talented designers who strive to make an emotional connection with users by eliciting desire and delight with the interfaces we design. Since its founding in 2002, EchoViz has won design awards for multi-media work, exhibit design and graphic design. Late in 2012, EchoViz was aquired by THINK. Michelle is THINK's Director of UX. In 2005, Michelle was named one of the “10 Innovators You Should Know” by Deep magazine in the March/April “Southern by Design Issue”. In 2006, Michelle was a nominee for the Women in Technology (WIT) Atlanta chapter “Woman of the Year in Technology” award in the Small/Medium Enterprise category. Presented and co-authored a paper, Co-operative Programs: A practical approach for the benefits of students, institutions and industry, at the IDSA National Education Conference - 1993. Spoke about The Fifteen Principles of Exhibit Design at the IDSA National Conference - 1997. Presented a co-authored paper, Emerging Roles of Technology in Design, at the IDSA National Education Conference. The presentation was selected as one of the two best at the conference and she was invited to repeat the presentation at the IDSA National Conference - 2001. Presented a paper, Interdisciplinary Collaboration: A Case for Good Project Management, at the IDSA National Education Conference - 2002. Presented “Exhibits: Four Dimensions of Interactive Marketing” at the International Home and Housewares Show - 2004. The presentation was repeated by request in 2005 at the Hong Kong Polytechnic University. Presented "Branding in Multiple Dimensions" at the Taiwan International Design Forum - 2005. Presented “IDSA & Design Advocacy” at the Design Connections Conference at the Swedish Embassy in Washington, D.C. – 2007. Presented at a seminar on design as a tool for strategic development and innovation (Seminario "Diseno como factor de innovacion y desarrollo estrategico") at the Carrera de Diseno Industrial of DuoUC in Santiago, Chile. DuoUC is a branch of the Pontifica Universidad Catolica de Chile – 2007. Presented a lecture on “Women in Design Leadership” as part of the ID@GT Lecture series sponsored by the IDSA Atlanta Chapter and the Industrial Design Program in the College of Architecture, Georgia Institute of Technology – 2007. Participated in an "East-West Connection" panel discussion at the IDSA/Icsid Connecting '07 World Design Congress in San Francisco – 2007. Participated as a panelist discussing "ISO - The Next Big Thing: Avoiding the Pitfalls in Creating Best-Selling Products” at the Consumer Electronics Show (CES) in Las Vegas – 2008. Presented a photo-session on Asian Street Food for Atlanta Pecha Kucha – 2008. Using the IDEA Awards and Design & Business Catalyst Awards as examples, Michelle addressed the value and power of design as a competitive tool and market differentiator at the USPTO Design Day conference in Washington, D.C. The United States Patent and Trademark Office hosts the annual conference, in conjunction with the American Intellectual Property Law Association (AIPLA) and the Intellectual Property Owners Association (IPO) – 2008. Moderated at panel discussion at the Seoul Design Conference – 2008. Presented “Social & Environmental Awareness: New Opportunities for Design in the 21st Century” at the Wuxi International Industrial Design Expo in Wuxi, China – 2008. Presented “Where there’s a will . . .” at the TEDxCreativeCoast conference in Savannah, Georgia – 2010. In November of 2008, Michelle was conferred the title of Visiting Professor at Jiangnan University in Wuxi, China. The appointment runs through December 2011. Michelle was also named Honorary Chair of the Editorial Committee for Creation & Design Journal, a publication of the School of Design at Jiangnan University in Wuxi, China. This appointment also runs through December 2011. In January of 2009, Michelle was appointed to the Editorial Advisory Board for Interactions Magazine. Michelle Berryman is not much on complaining. She is a woman of action who is thorough in her critique and fully willing to do whatever is in her power to affect a situation for the better. Whether time, talent, money or energy, Michelle has given her all to IDSA while serving at a very high level for more than a decade. Michelle has been an IDSA member for 18 years and has worked as a volunteer leader for 15 of them. She helped shape the Atlanta chapter in three different capacities from 1996 through 2001. She was instrumental in establishing the Gender and Cultural Diversity Section in 1999. She made her first appearance on the Board of Directors as the vice president of special interest sections in 2001. She has since been elected to every office on our Board of Directors—winning by wide margins each time. Additionally, Michelle has served on or chaired a number of committees, including international conference planning committees, district conference planning committees and executive director search committees. When she completes her term as IDSA’s Immediate Past President later this year, she’ll still have one year left on her current term as a member of Icsid’s Board of Directors. If we don’t invent some new way for her to serve the design community after that, Michelle will probably create it herself. When she was elected IDSA President in 2007, Michelle became the third woman in Society history to hold the office. Her term as president was marked by major challenges to the Society that required extremely sensitive and purposeful direction. Michelle was a voice of reason, fairness, compassion and strength. Her leadership was instrumental and timely in steering the Society safely through a number of crises. On the other side of those crises have been opportunities for IDSA to grow its presence internationally. Michelle has taken on speaking engagements, jurying opportunities and teaching positions. She has carried the IDSA flag to Russia, France, The Netherlands, South Korea, Taiwan, Australia and China. In China, she and Brian Roderman teamed up to engage with the nation’s design community. Their outreach efforts enabled IDSA to launch a chapter in China, our first on Asian soil. Few people in the history of IDSA have done as much to inform people of the good works that are being done throughout the global design community. To read more about Michelle and her work click here. Michelle can be contacted via e-mail.